Rubio Long Snapping has a brand new online store for everything related to Rubio Longsnapping! Shop HERE for the latest and greatest workout gear and apparel. "Rubio, Just wanted to drop you a quick line and say thank you. Our son, had never attended any camps before and had started to try and learn long-snapping on his own. (With some help from his parents, mostly his Mom.) We came across you on social media and decided to sign him up for the Vegas camp. (We had no idea that was kind of a showcase event, but Vegas in January coming from Colorado sounded nice.) As we drove in on the morning of day one, he and I knew that maybe we had bitten off a little more than we could chew. As we warmed up, it was apparent that he had a long way to go to be in the same league as the other athletes that were there. As a parent, I was concerned, wondering how much time and attention he would get from the coaches. Happy to say we were thrilled. You and your staff were great. They treated him well and man did he improve. Competition day was a great experience. He struggled at times, as you might expect. I highly doubt any college scouts will be looking at him based on his performance, but he got much better and more importantly, he’s excited about it and wants to come back next year and attend some of your other camps in the meantime. 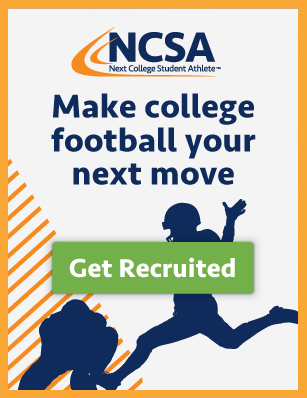 Point is, I know a lot of people come to you with hopes of getting exposure to colleges and instruction for their athletes. We came with a different goal, we simply wanted him to learn how to long-snap from the best. 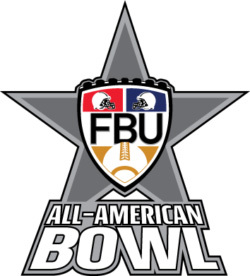 It would have been easy for your staff or you to overlook our son at an event like that, filled with the top HS long-snappers across the country. I walked away impressed and grateful, because he gained a lot of skill and a lot of confidence from being there. Thank you. We’ll see you again soon." New 5 Star Rubio Long Snapper! Rubio Long Snapping is, by far, the biggest and best resource for Long Snappers in the country. Rubio has been featured in The Washington Post, The New York Times, The Wall Street Journal, USA Today, Deadspin and countless other publications. 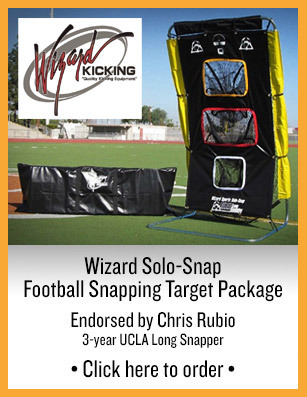 Chris Rubio can help you to become the best snapper you can be! In just 12 years, Chris Rubio has become the #1 snapping instructor in the country and the go-to man when a college coach needs a snapper. Colleges from across the country rely on Chris Rubio's word day in and day out on who the best snappers are in the country. 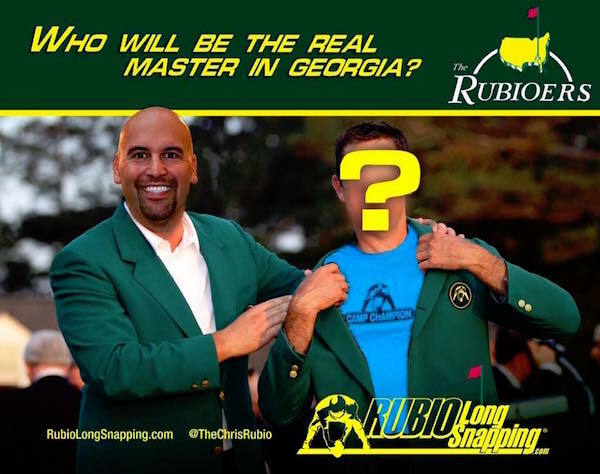 Chris Rubio has assisted in almost 1,000 Long Snappers earning full scholarships and preferred walk-ons to major Universities just for snapping. It's simple, if you want to get yourself better, noticed and into the next level: go through Rubio Long Snapping!